MT14030 Fairmont Tongs Offset with Cushion Grips by Klenk Tools at Forestreet. MPN: FBA_MT14030. Hurry! Limited time offer. Offer valid only while supplies last. Fairmont tongs are powerful and versatile additions to any tool box. Their mand uses range from HVACR maintenance to roofing installation and repair. Fairmont tongs are powerful and versatile additions to any tool box. Their mand uses range from HVACR maintenance to roofing installation and repair. They are also used in a variety of sheet metal, machine shop, and other applications throughout many manufacturing and trade industries. Tongs are forged and plated -- and fully guaranteed against defective material and workmanship. Bending depth marks on tong jaws. Regular or offset handle models. Also available with cushion grip handles, which offer a softer, more comfortable grip. If you have any questions about this product by Klenk Tools, contact us by completing and submitting the form below. If you are looking for a specif part number, please include it with your message. 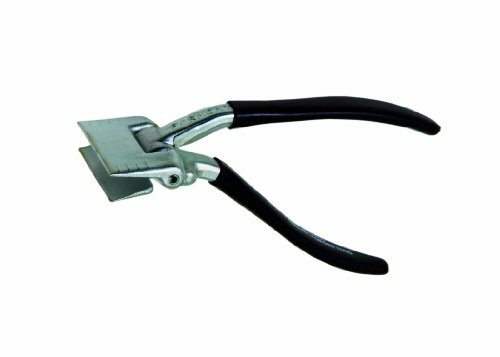 Miter- Boss02 Chamfer Cutter Quick & Precise Miter Cuts with Grip Handle.